Effective cough and cold medicine made with real cocoa for a real chocolate taste. Kids hate feeling sick. But they also hate taking medicine that doesn’t taste good. That’s why there’s Dr. Cocoa. 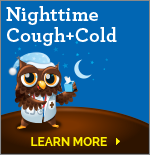 Learn more about cough & cold. 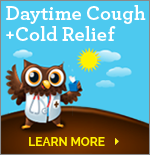 Dr. Cocoa® has two patented cough and cold relief formulas made with trusted, effective ingredients, plus 10% real cocoa for a real chocolate taste. Your child will like the rich, soothing chocolate taste, and you’ll love the cough and cold relief Dr. Cocoa provides. Learn some useful tips with our Sick Day Survival Guide. Enter your email address to get the latest news and special offers from Dr. Cocoa.